The “IoT Experts” community is born in Rome. The motto is IoT for everyone! 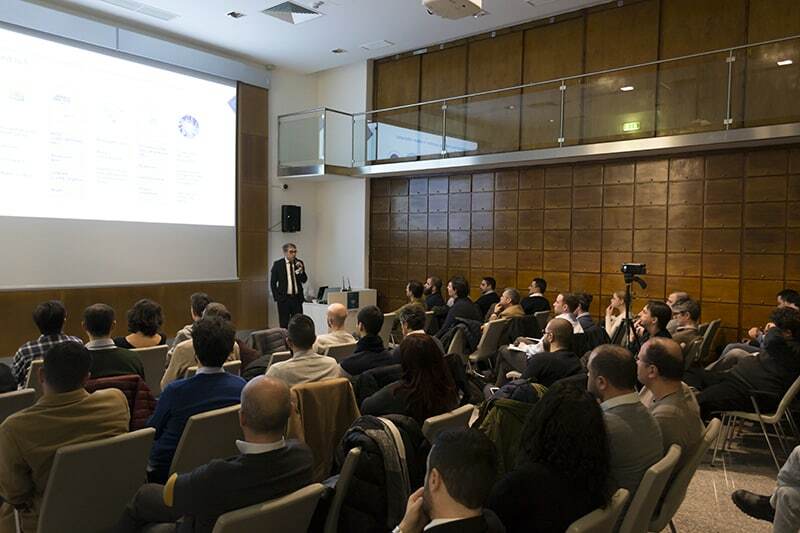 Enthusiasts, experts, companies and developers met last Friday (March 29th) at Luiss Enlabs HQ, the largest startup accelerator in Europe, for the launching event of the roman IoT Xperts Rome community. “How IoT is Changing the World” was the main title for this first meeting. Organized following the Aperitech recipe studied by Codemotion, it has been a great opportunity to exchange ideas and opinions on topics that revolve around the variegated universe of the Internet of Things. The goal of the community is to gather experts, passionates, students and companies to one place and to create a network capable to boost relations and cooperation between members to create or improve IoT projects. How can be world changed using IoT? Let’s see how answered the three speakers of the IoT Xperts Roma meeting! The main speaker of the event was Claudio Botta, CEO of Bway and a great lover of all new IoT technologies, in particular for hardware technologies and protocols. Last speaker of the meeting has been Domenico Barra, CTO and Co-Founder of Adamantic, a recently born company that has the goal to build IoT and blockchain solutions aimed at the architecture of information systems. There is no doubt that it was a first, fertile, opportunity to meet different realities with a common purpose: to innovate business processes and bring IoT solutions into everyday reality. The community is open to everyone, you can easily keep in touch with all the participants thanks to the Facebook group dedicated to it. The next event will be held on May 4th. Stay tuned, more details soon! https://www.greenvulcano.com/wp-content/uploads/2018/04/DSC_0036-1.jpg 533 800 admin https://www.greenvulcano.com/wp-content/uploads/2017/04/logo_gv_FLAT-300x138.png admin2018-04-06 11:26:492018-04-06 11:40:39The “IoT Experts” community is born in Rome. The motto is IoT for everyone!